These shoes. There is no way I can justify spending this kind of money on shoes, and believe me, I've spent lots of time this week thinking of how I might could. Maybe one day they'll go on sale. Until then, these are the most perfect platforms I've ever seen. Vintage Fisher Price. 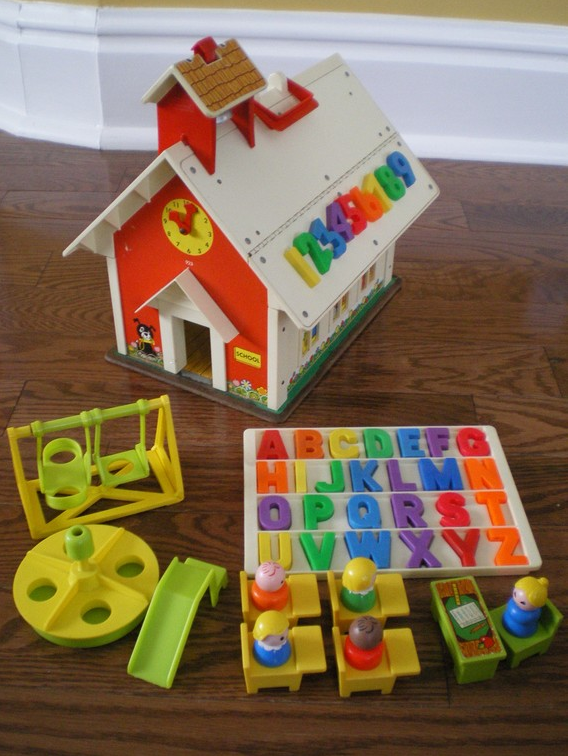 I've been geeking out over vintage Fisher Price toys. It's so strange scrolling through the etsy listings for them because I don't have conscious memories of these toys until I see a picture. 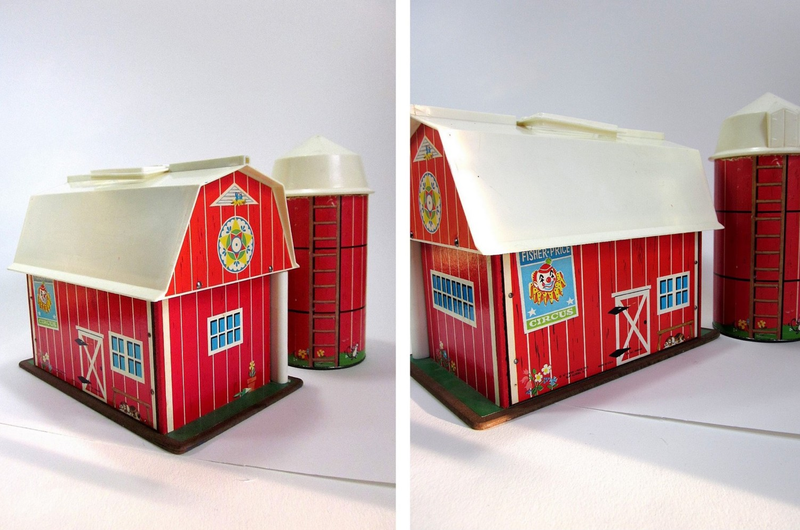 And then it's like, yep, I had that schoolhouse, I had that barn. I have a crap memory so anything that makes things come flooding back, I love. 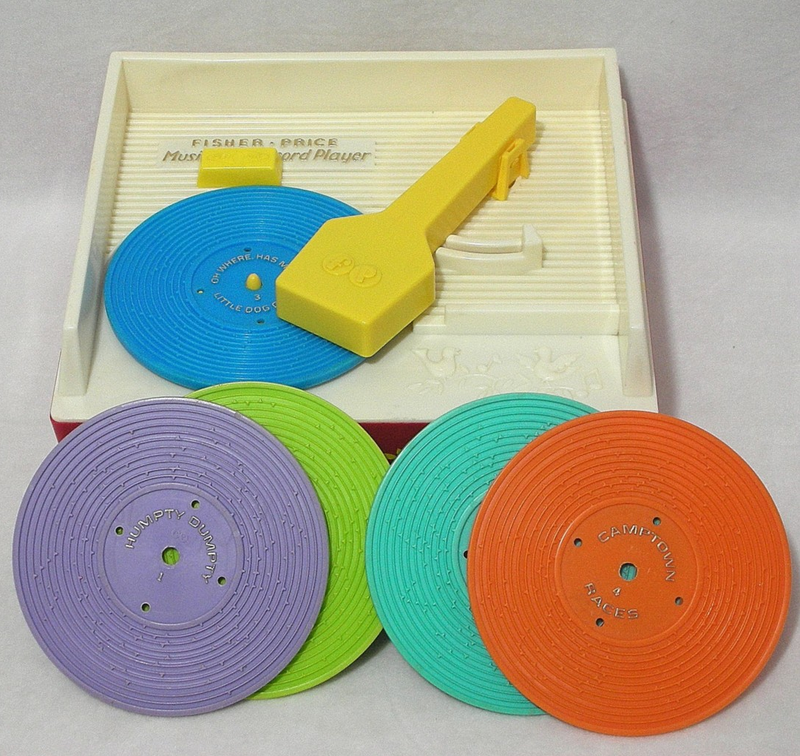 But what I'm really after is the music box record player below. Bah-nanas! 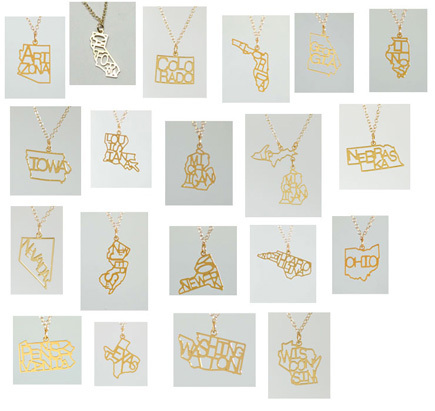 State pride necklaces. 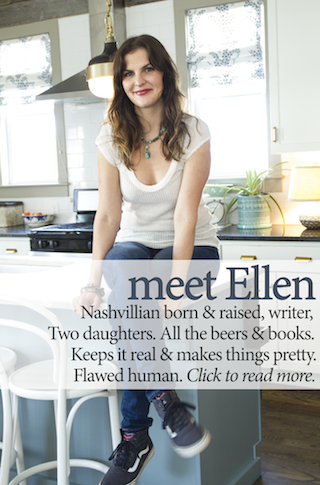 There's not one for Tennessee! But I love these. This DIY maternity shirt. I'm not pregnant, although I may or may not be getting baby fever a leetle bit for the first time since I had Tess. However, we're planning to wait until she's three before I pop out another one. 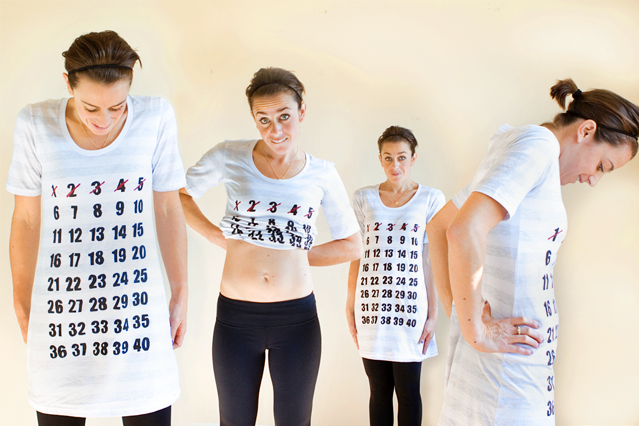 Anyway, how great is this shirt to mark off the 40 insanely long weeks of pregnancy and chart your progress in pictures? 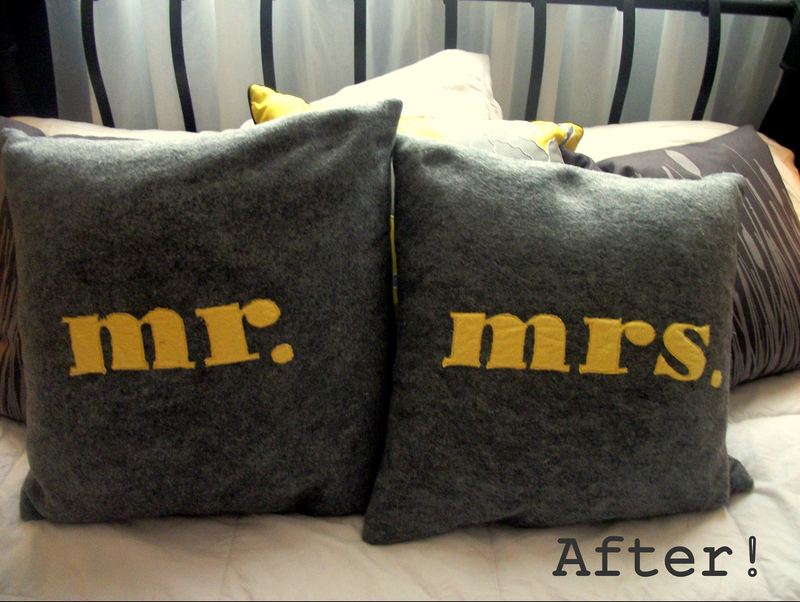 These Mr. & Mrs. pillows. Aren't these adorable?! I found them via Project Restyle, and they're handmade of felt and flannel. I want to make some bad. Follow the source link below for the tutorial. 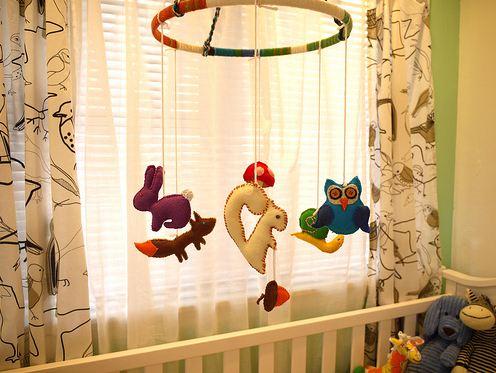 This handmade felt baby mobile. 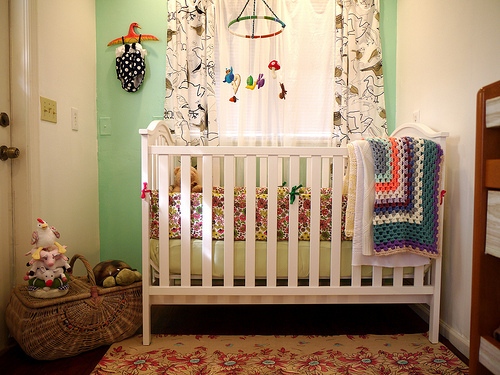 I think I searched the longest and the hardest for Tessa's baby mobile. There are so many terrible ones out there. I ended up finding some paper umbrellas that I used, but which the toddler Tessa has since demolished. But I love this idea from ohdeardrea for making a pretty felt mobile by hand. Now I'm nostalgic for those barns and schoolhouses from my childhood! i'm new to your blog & just wanted to say that i love it :) I am pregnant with #5 and i love that maternity shirt! definitly going to look into it! that mobile is super cute! i bought my little nephew one from etsy of little owls and he loves it! i love the look of it being handmade. gives more life to it!